Creating an email template is quick and easy. To get started, click on your initials in the top right corner and click the account settings button. 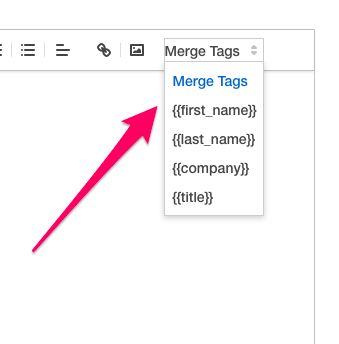 You can use merge tags from our "Merge Tags" dropdown menu to automatically populate the email with the relevant merge tag information. It will pull this information directly from the Prospect Profile and insert it into the email template - automatically creating a customized email. 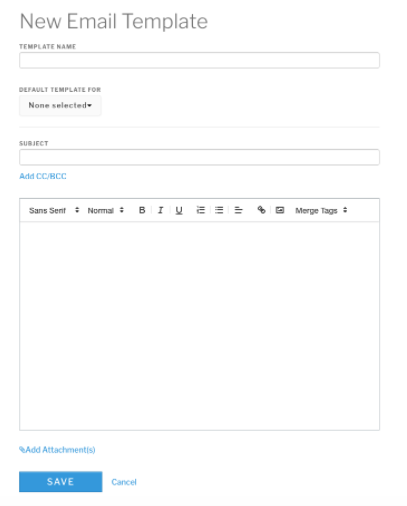 Once you've filled out the New Email Template form, don't forget to hit save. 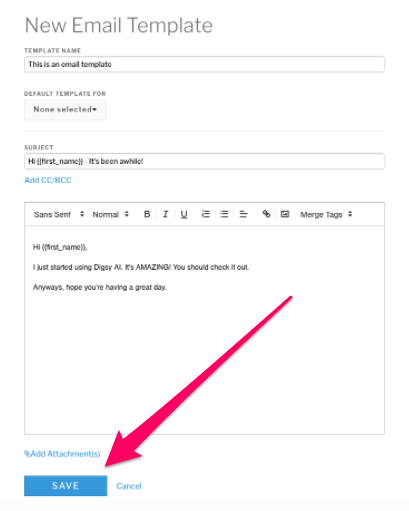 Now that you've created a template, you can easily select it from the email composer and send it to any of your prospects with just a couple quick clicks. Just select the template you want to send from the "TEMPLATE" dropdown in the email composer and hit "SEND". Watch the quick video below. We'll walk you through how to create email templates on Digsy AI. NOTE: There's no need to add your email signature to every email template you create. 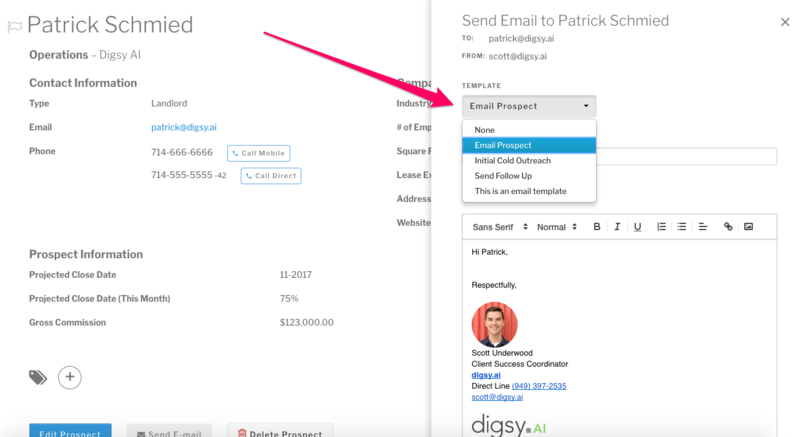 As long as you've added your email signature under the "ACCOUNTS" page, it will automatically be appended to every outgoing email you send through Digsy AI.